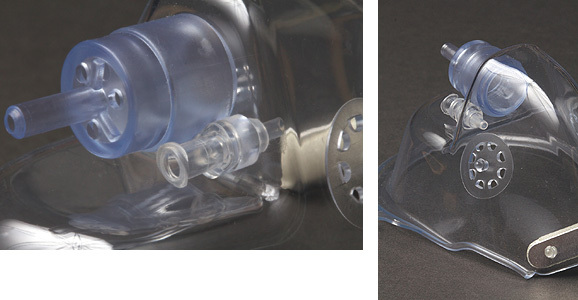 The Jemsdal® mask monitors ETCO2 in spontaneous breathing, sedated patients. The special shape of the Jemsdal® mask provides for a high degree of patient comfort while maintaining an appropriate seal and fit. Patient irritation is minimized by use of a comfortable nose bridge that reduces extraneous oxygen flow. Masks are clear and are provided with 7 feet of non-kink oxygen tubing. Jemsdal® masks have a standard luer connection to connect with gas sampling (CO2) lines. Jemsdal® masks provide excellent correlation between patient ventilation and capnograph tracings. Perfect for eye cases, Jemsdal Masks feature a unique cut away shape that allows for easy access to the eyes.